When considering an RV purchase, it’s important to find the model that fits your lifestyle best. 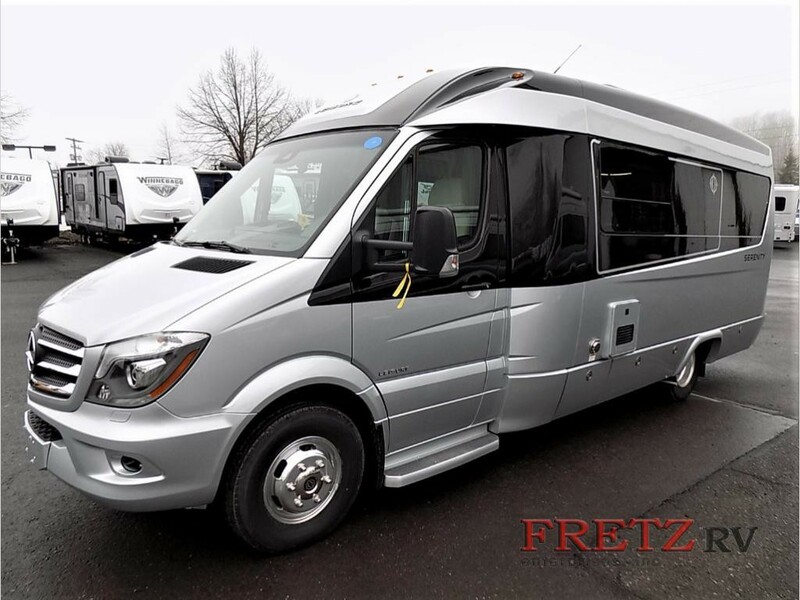 For some, the perfect PA motorhome would be of manageable size with all the comforts of a large RV. If this sounds like you, perhaps you would be interested in the Class B motorhomes. Commonly referred to as a camper van, the Class B is very similar to its nickname. From the outside it looks like a passenger van with a taller roof. Once you step inside, you understand why it’s growing in popularity. They make the most out of the space that typically includes a dinette, lounge, kitchen, and bathroom. Some even come standard with a sunroof! The driving and living areas are all together so everyone is free to move about during travel. Because it has a van build, Class B’s are easier to maneuver on the road. This also helps with fuel since there isn’t as much to haul around. Having more flexibility will open you up to more traveling or a comfortable second family car! Have more stuff to bring? Most Class B’s can tow as well. Also, this motorhome requires no storage since it fits in the driveway and some garages. Camping might be easier with a smaller RV where larger models are too cumbersome. Best of all? A family of four would feel right at home, with enough space to still do everything they need to! Have you considered a Class B of your own? If you have any questions or would like to see a Leisure Travel Van for yourself, give us a call!